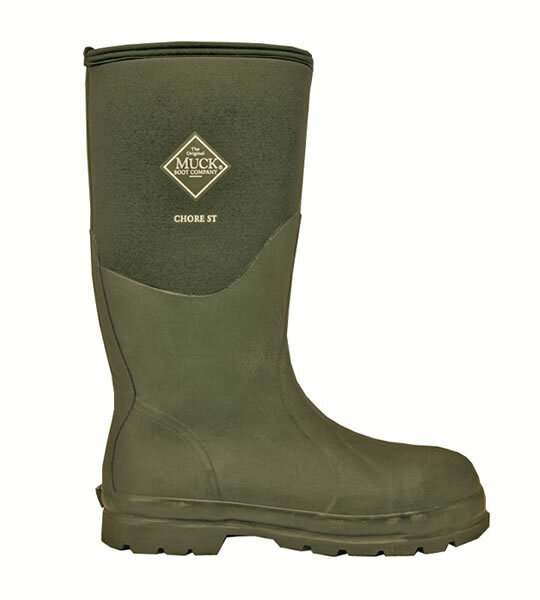 The Chore Steel Toe Safety (previously known as the Muck Boot Humber Safety) has all the benefits of the Chore 2K, with a duel density oil-resistant rubber sole for suberb insulation, shock absorption and comfort with the addition of a steel toe cap and midsole. This makes the Chore Steel Toe Safety the ideal working boot where safety is a consideration. CR flex-foam bootie (5mm) with four-way stretch nylon, lightweight, flexible, buoyant, and will form to virtually any calf girth. Comfort range of 85° F to sub-freezing conditions.